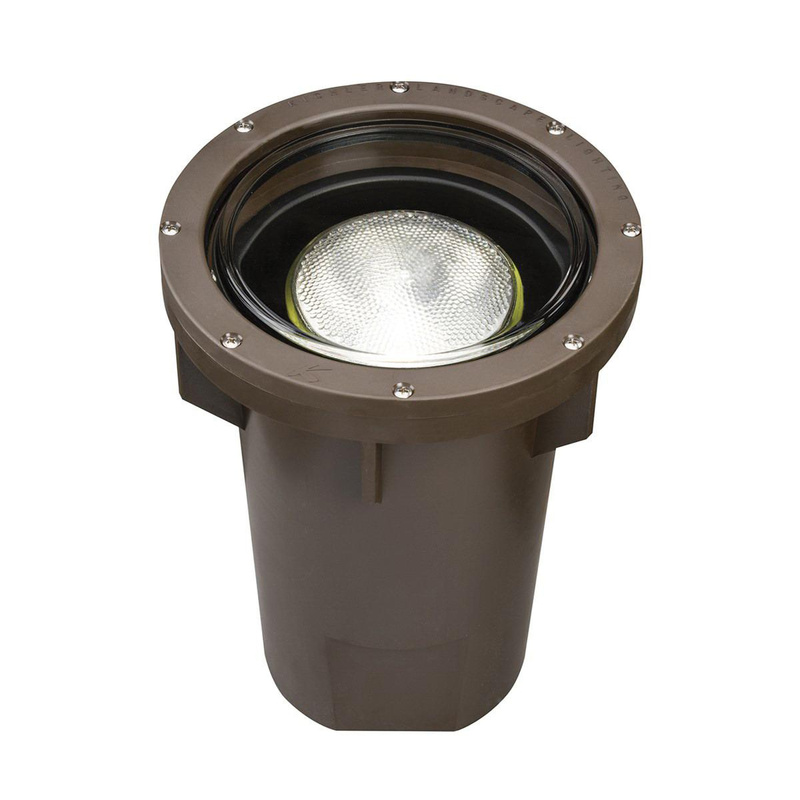 Kichler HID High Intensity Discharge Collection 1-Light in-ground light in architectural bronze finish, features durable thermoplastic composite resin housing. Tempered convex clear glass shade of light brings elegance to the home. Light uses one 150-Watt PAR38 lamp. Medium socket lamp has voltage rating of 120-Volts. It measures 9.63-Inch x 13.11-Inch. Light comes with 13-Inch lead wire for hassle-free installation. Light is UL listed and meets ANSI standards.